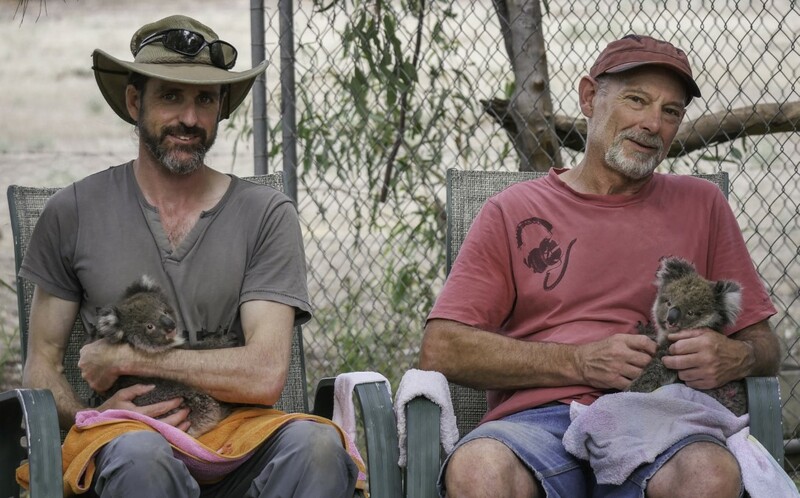 Glenn Cottier and Clive Bodle hold some of the many baby koalas that have been rescued. While we humans have felt we’re sweltering in the prolonged heatwave in central Victoria, spare a thought for northern Victoria residents where the prolonged hot spell has seen numerous days since Christmas with temperatures in the 40s and more than once peaking at 47 degrees. Heat like that takes its toll on every living thing – our native animals included. And that’s where volunteer wildlife rescuers from the Macedon Ranges have stepped in to help their counterparts at Dutch Thunder Wildlife Shelter in Koonoomoo in the north of the state. More than 30 heat-stressed koalas have come into the care of that shelter in just a matter of weeks and with them, eight baby koalas as well. 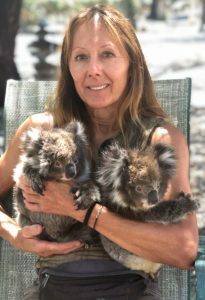 Macedon Ranges Wildlife Network’s Sue Anderson said their offer to help to build more enclosures to house the koalas was welcomed and the weekend before last she and her co-volunteers helped construct extra koala accommodation at the shelter. The koalas now have plenty of space to recover and be cared for until the heat danger period passes and they can again enjoy their own wild bush habitat. If anyone would like to help Dutch Thunder Rescue or the Macedon Ranges Wildlife Network care for the koalas go to their website or facebook pages. Macedon Ranges Wildlife Network’s Sue Anderson. 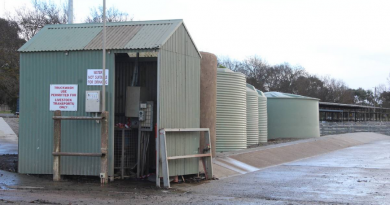 Kyneton Saleyards' truck wash has operated without personal wash facilities since the 1980s. 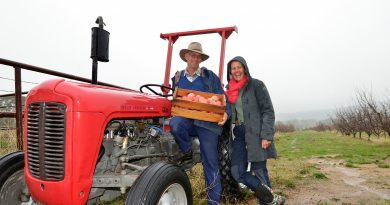 Mount Alexander Fruit Garden's Hugh and Katie Finlay are among the founding members of a ground-breaking new local organic farming co-op venture. 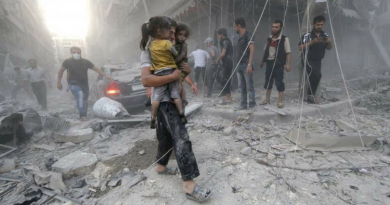 Last Men in Aleppo is an extraordinary example of the power of documentary to focus attention on global issues. Filmed over three years, this visceral film combines moments of heart-pounding suspense, tragedy, and improbable beauty, and takes us right into the lives of three men from the White Helmets in Aleppo who confront an agonizing dilemma; do I stay and fight for my country and my dignity, or do I flee for the safety of my children and family?